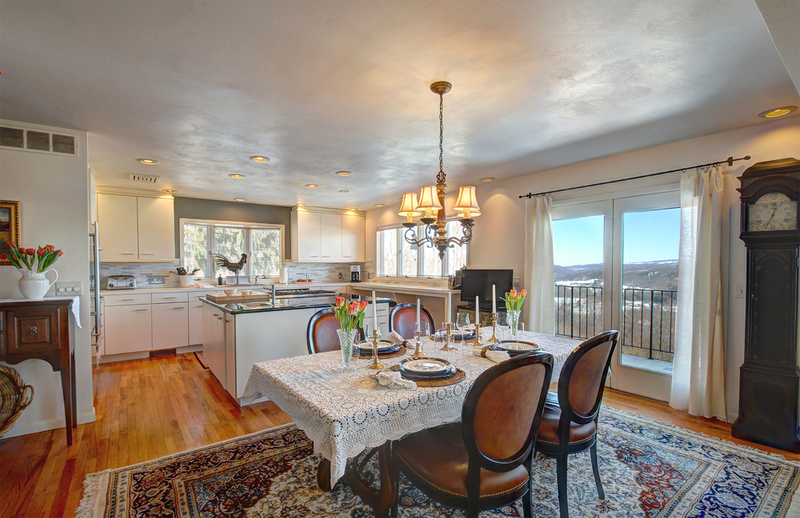 You will love sunrises looking out your wall of 11’ windows overlooking the valley! This transitional home was custom built by John Bishop and designed by the owner. The great room has beautiful 21’ a natural wood cathedral ceiling that rises above a Rumford fireplace. It’s been cared for and meticulously maintained by one owner since it was built. It’s great to live in such a beautiful remote location, yet have easy access to a city. Downtown Syracuse is literally only 15 minutes away. The home’s main open area draws you to custom built kitchen and multi-leveled decks. The main fireplace is warm enough to heat the entire space and more. Beautiful gardens are visible from every room of the home. 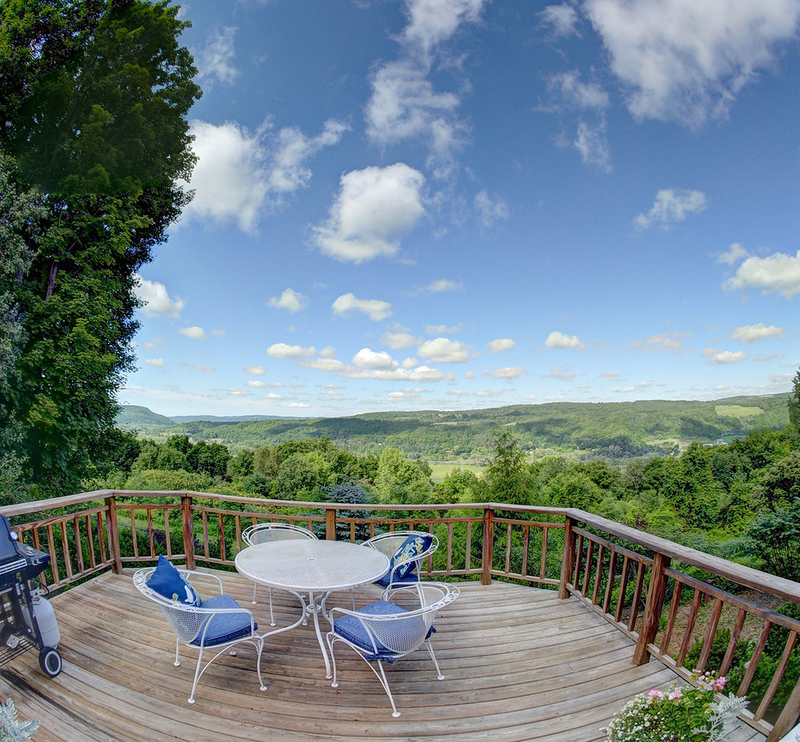 You will be able to host a dinner and enjoy the serenity of the view. Another great spot in the home is the library. Relax with your favorite books stored on custom shelves. Off the other side of the living room is a three season room with large windows to enjoy a more wooded view. This home is the perfect retreat for the busy executive! Contact me today to make an offer! LaFayette, N.Y. — Jon and Diane Lochner were looking for land to move out of the city nearly 30 years ago. They had a lead on some promising property in LaFayette from a friend. They never found it. 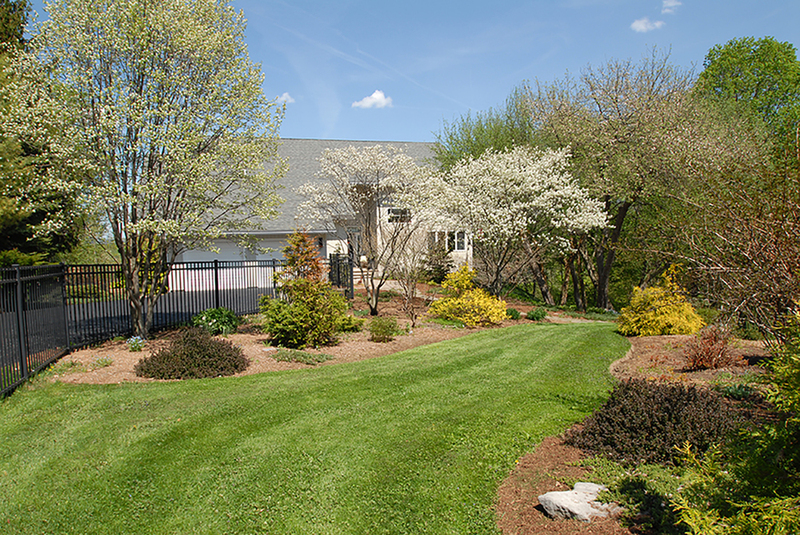 Update April 29, 2015: GARDENS TO BE SHOWN IN THE GARDEN CONSERVANCY. Living Area (SqFt): 2,128 sq. ft.